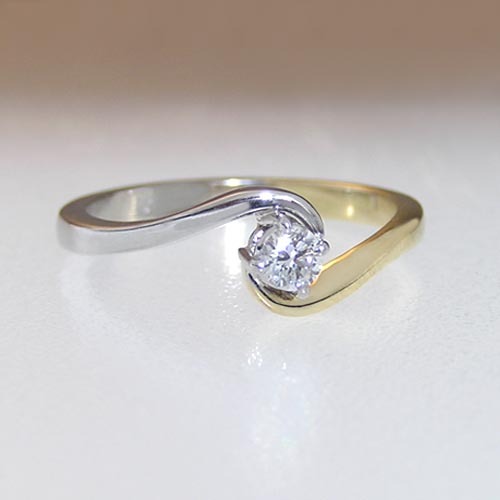 Since we opened our first shop and workshop in 1980, we have been creating a wide variety of engagement rings, designed to capture the emotion of the moment. 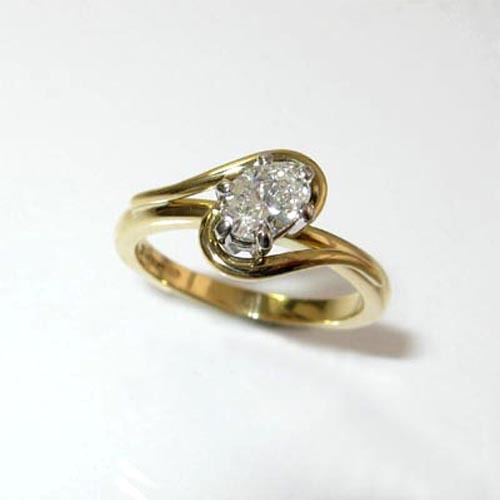 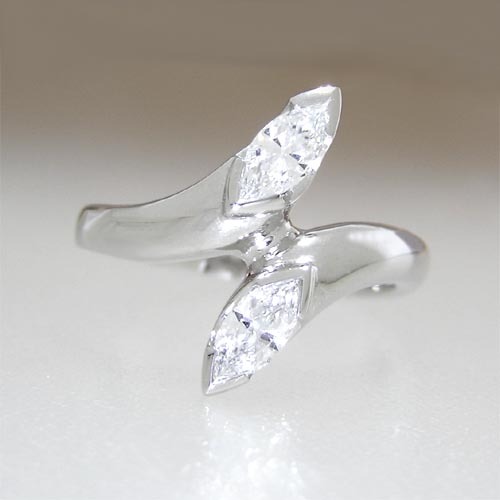 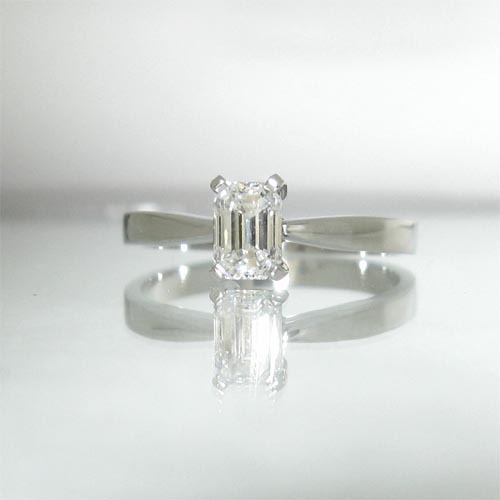 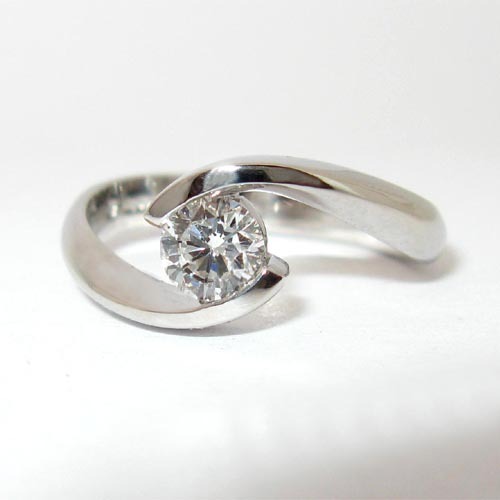 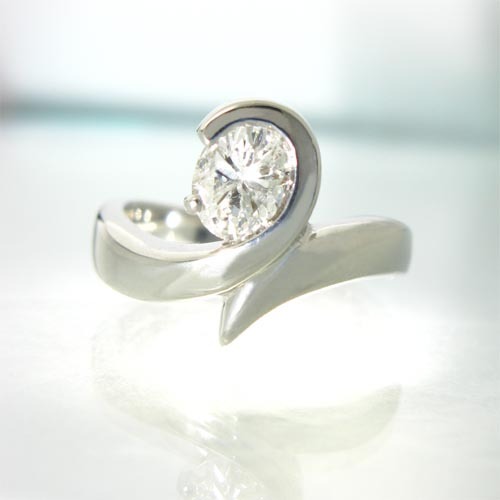 We specialise in unusual designs, some with fitted wedding rings, to reflect the harmony of the couple. 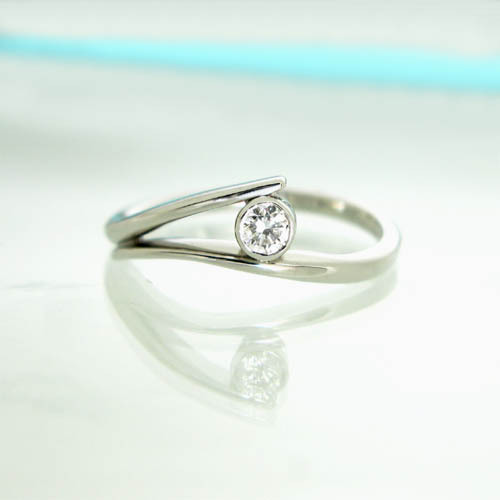 Our designs range from stylish Platinum rings, rings that incorporate unusual shaped stones or subtle detailing, to very unusual shaped rings. 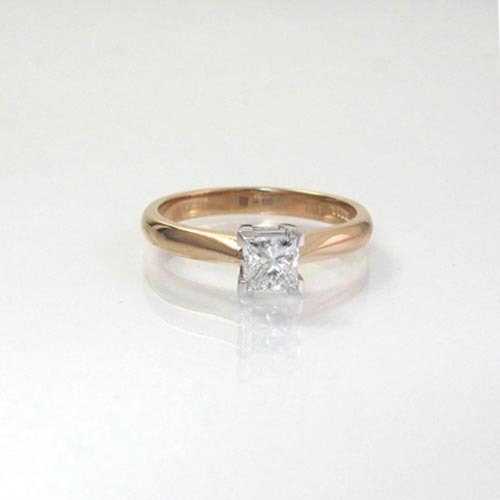 When creating Bespoke rings we take the initial inspiration from our clients desires and blend it with our fine design and superlative craftsmanship. 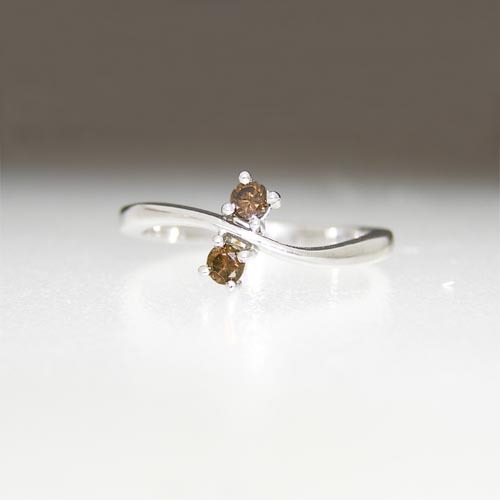 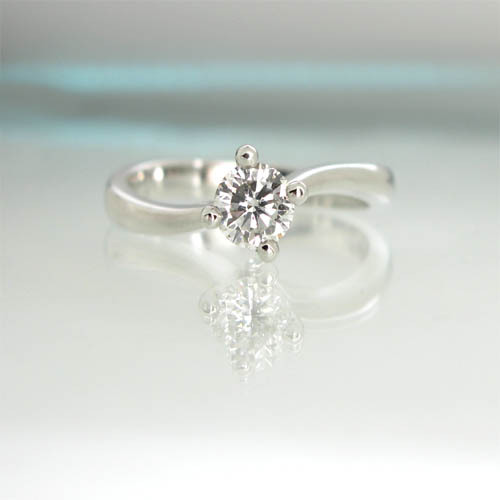 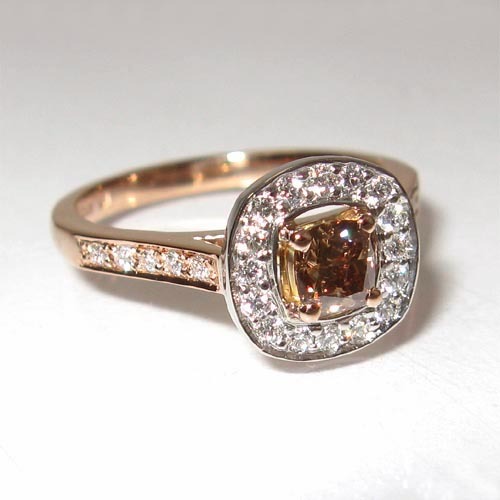 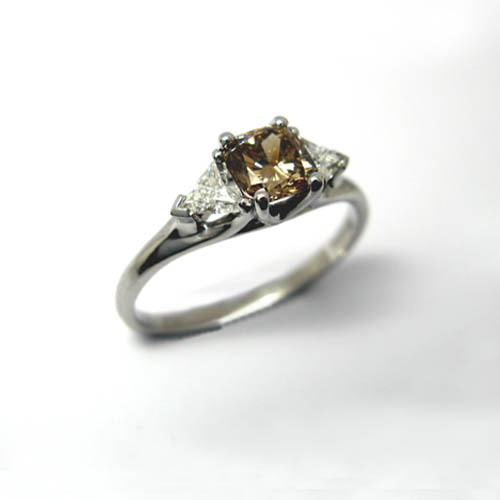 You can be involved from the beginning, choosing the design, the stones and the metals for your very personal ring. 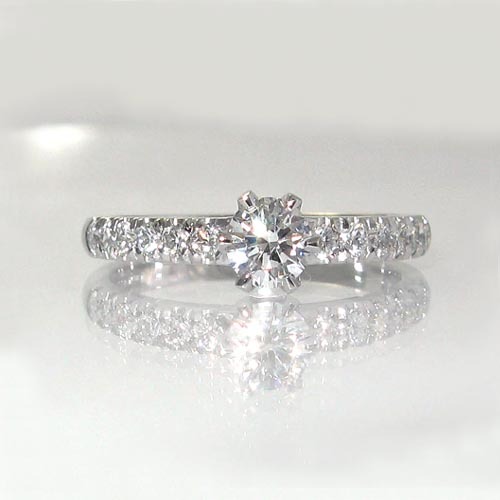 We have become known for our level of experience and craftsmanship. 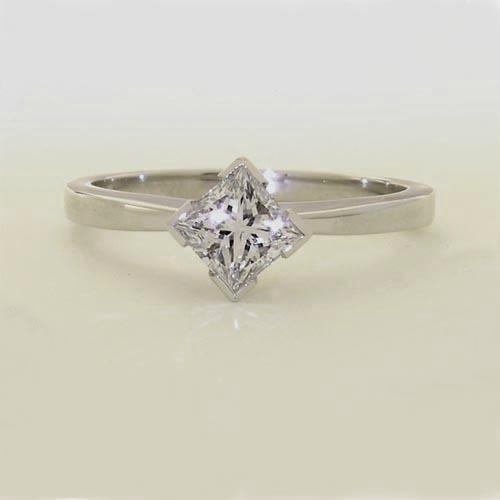 You can be confident that an engagement ring made by us will be of the highest standard of design and craftsmanship and unique to you. 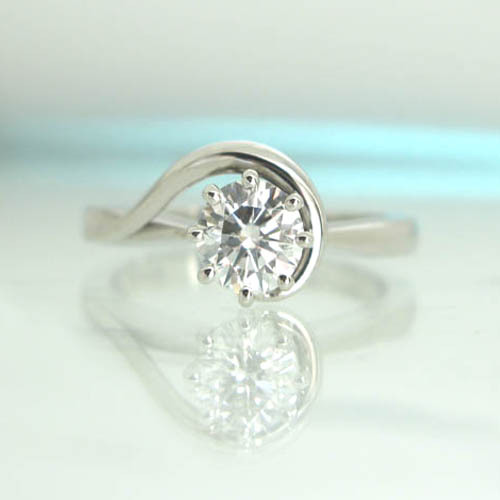 Please call in, phone or email, to discuss your ‘Forever Special’ ring. 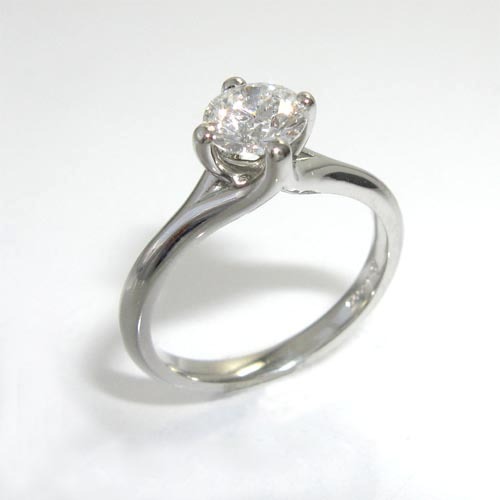 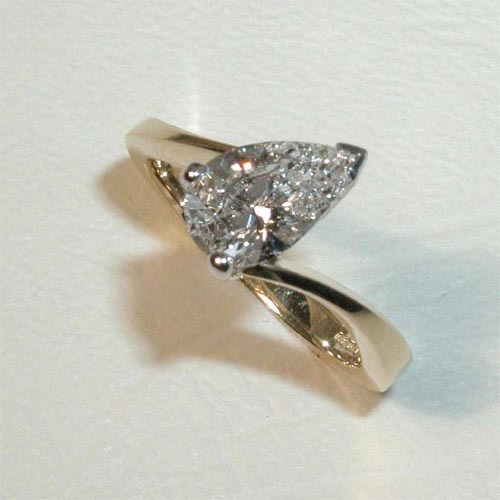 Bespoke Platinum Ring with D colour, internally Flawless Diamond. 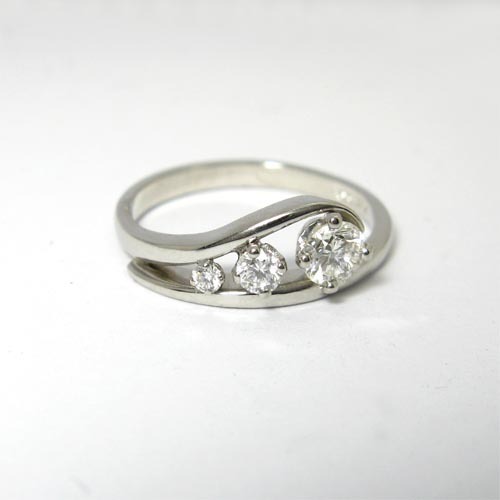 Ref: 290509.